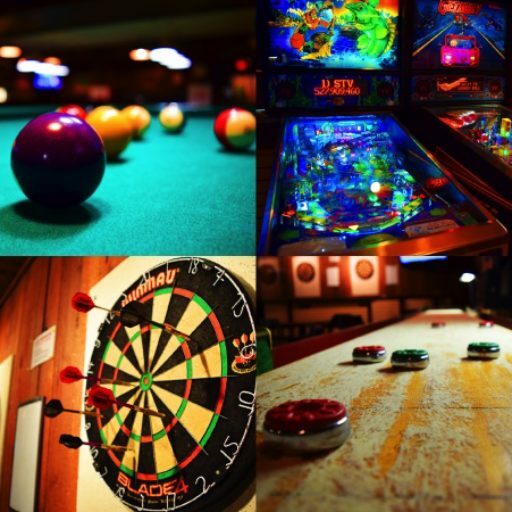 Take in a game of billiards, shuffleboard, darts, skee ball, bubble hockey and a number of other games to get your game on. If old school games are more your thing, we’ve got 20 of them to bring you back to your youth. Fridays 11:00 a.m. to 1:00 a.m. The Lougheed Village apartment complex was constructed in 1974 by the Lougheed family. It was built with customer appeal and comfort in mind. In May of 2012, the Lougheed apartments were sold and the new owner has modelled the buildings and re-energized the ambiance. In August of 2012 we took over the Lougheed Village Bar & Grill and it is now considered to have a “Cheers” atmosphere; friendly, fun, and place where everyone knows your name. It’s also known for great food and beverage specials every day with friendly customer service. Call us to book your event at our bar and grill.